The Albanian Football Association (Federata Shqiptare e Futbollit) and technical partner Macron revealed the home, away and third kits that Albania’s national football teams will wear during the 2019/20 season on Wednesday. The Albania senior men’s team will debut the new range during EURO 2020 qualifiers against Turkey and Andorra over the next week. The Albania 19/20 kits are in home red, away white and third black. All three jerseys use a new shirt design from Macron featuring a v-neck with a polo collar. A digital print representing the Albanian eagle occupies the lower frontal area of the jerseys. “ALBANIA” is printed on the outside upper back areas. 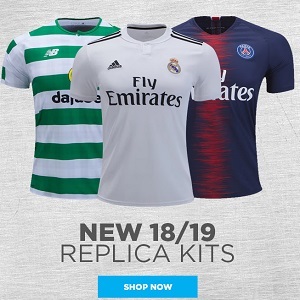 The Albania 2019/19 Macron kits will be available at UK Soccer Shop and Subside Sports.